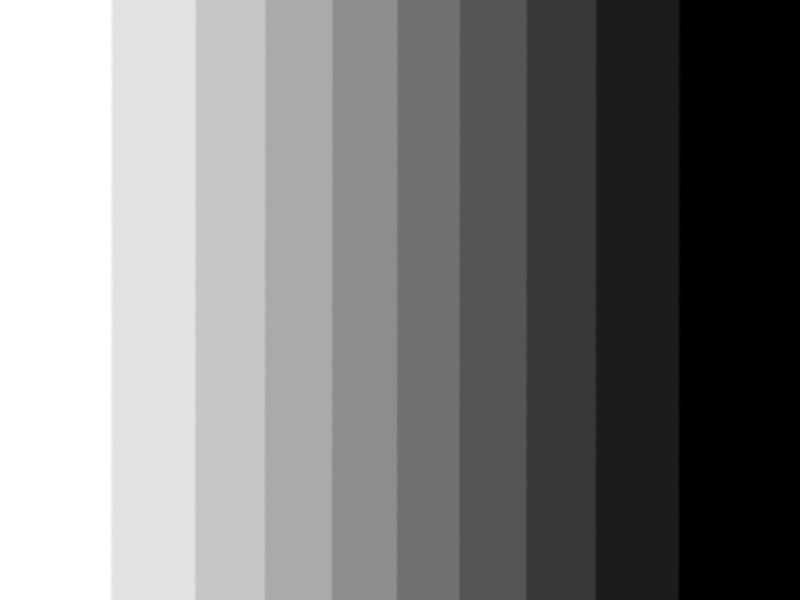 I am a black and white kind of person, but somewhere between black and white is this vast range of grayce. I am coming to believe that is where mercy lives. Life experiences have mellowed me. I know the difference between right and wrong. I believe what the Bible says – I’m one of the die-hard’s that believe, “If the Bible says it, then it’s true.” I have never found one contradiction in the Book. 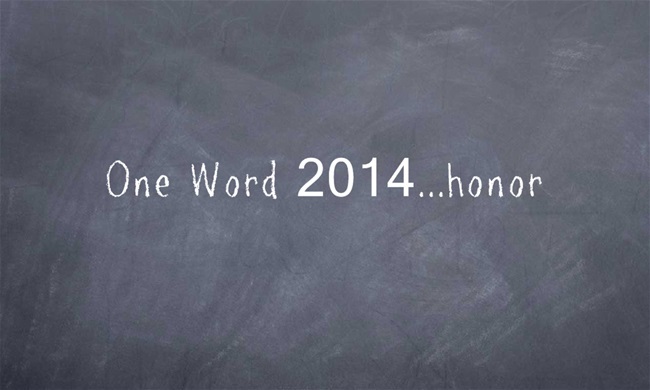 The Word is my standard for living. I am not addressing sin (per se) in this post. I am addressing what I do with other’s sin. I am the Mom of three adult children and, as I gave my own mother a season of frustration and grief, my kids have given their share to me. I call sin, by its name, Sin, and I know how to practice tough love but I have also learned to hang out with mercy in the 50 shades of grayce spectrum. In John chapter 4 we read the incredible story of Jesus and the woman at the well, this story illustrates my 50 shades of grayce perfectly. Jesus called sin by its name…Sin, and then He entered the zone of 50 shades of grayce – the mercy zone. If you don’t know the rest of the story, read John 4 in its entirety. The woman was redeemed of her sin, went back home and told everyone of the strange Jewish man who had been kind to her even though He had told her everything she had ever done (wrong). She was grateful. People’s lives were changed. Families were saved. Children rescued because of Jesus’ mercy. Friends, don’t be afraid to address and judge sin (not in the condemning sense), but to address it to save a person’s life – enter the mercy zone, the area between white and black, in the fifty shades of grayce. I must warn you though, you might make an enemy or two, but when handled by the wisdom of Holy Spirit, you will be thanked. Speaking from past experience, it wasn’t until my grandmother, on her death bed, looked me square in the eyes and called my life style by its name, Sin, that my life began to change – her truth words burned within me, even in my hurt and anger I knew that I knew she was right and I had to make some hard decisions. Thank God I did. 50 shades of grayce – this is where I want to live the rest of my days. Basking in the Father’s love and unmerited grace, all because of His great mercy towards me. There’s room for all of us. I loved this, in this crazy world of ours, it seems, like everything is okay. Gosh, how things have changed, The T.V. shows, the music we listen to. I’ve often said, what would my parents or grandparents say to all this. I believe in my heart, they would say, Stand Up! This is Sin! I used to love watching Revenge and Scandle on T.V. until Our Lord, spoke to my heart, get it off. We so need to be careful what we watch or listen to, it goes to our heart, and what goes in will surely come out. Thank you for this article. Thank YOU, sister, for the confirmation! It is truth. I often think , “Am I getting soft on sin?”. The truth is that I’ve sinned so much and been forgiven so often that it’s growing more difficult to point fingers. Quite frankly, I’ve run out of them to point at anyone else. Thanks Sus. We always need this reminder. What a relief to not have to judge or be responsible for trying to keep the world in order. You have a gift with words Susan. Thank you for stepping out in a loving way to address a true fact of life. That ugly three lettered word…SIN. Our society sadly is moving further and further away from the Word and God’s amazing love for us. Acceptance has replaced obedience. Those of us who do follow Jesus find ourselves caught and confused on how to lovingly share with those we care about when they blatantly choose unhealthy paths. That said, we all sin daily. Some of us are just better about how we disguise our flaws. I am so thankful that Jesus patiently draws me back and His mercy and grace leads to incredible redemption! I am praying that 2014 will be the year He guides each of us to be gentle and bold with the guidance of the Holy Spirit to share with those we encounter. Great blog! 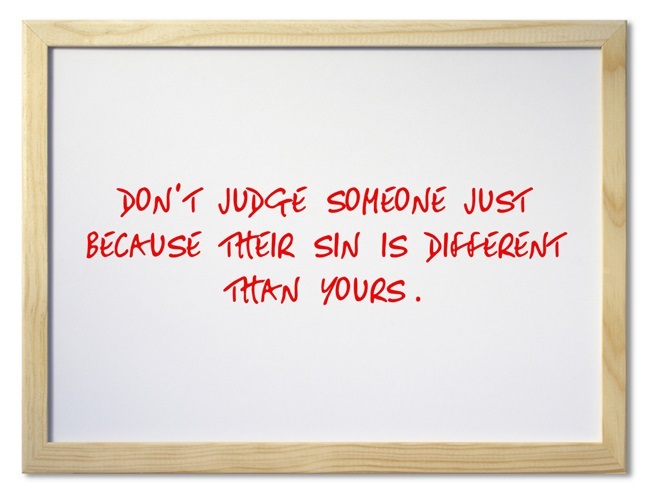 I am writing, “Dont judge someone just because their sin is different than yours”, on my kitchen chalkboard today. I remember hearing this just at the beginning of the honeymoon I was on with Jesus. My tour as a fading fast downward spiraling, self-fulfilling, suicide seeking, pit dwelling rockstar had just ended, AND my life had been spared. Talk about Grace!!! Thank you to all those bruised, aching knees!! Anyways that quote was a huge lesson for me and one that should not be forgotten. Thank God for His Grace!!! And for all those praying Mamas out there!! One of the best things you’ve ever written, Susan…and all you write is very good. Thank you again and again for sharing this with us. I believe we need to join our voices for a victorious verse of Amazing Grayce!!!! Thank you Father for your love, mercy and GRAYCE for without you we are nothing. You are the light we follow to reach your Kingdom. Well here I am again- just having the opportunity today to read last Wednesday’s blog!. But I can totally relate to this– not judging someone whose sin is different than mine. I so enjoy connecting thru this site with like-minded sisters. It strengthens us all. And, I am so glad you come over and visit each week!!! Some like to yell and point at the ‘top’ sins that evryone loves to hate (abortion, homosexuality); but we’ve forgotten that sin is sin and we are all guilty. Jesus was right there in the midst showing peace, love and a way back to God-which is what he calls us to. Oh, that we would remember! Lord, please help us to be your hands and feet and love them all…regardless. Always appreciate your comments Diane! Amen! God has shown great mercy to me, can I do anything less for my fellow travelers? (And I’m totally with you on the whole children frustrate and challenge their parents just like their parents challenged and frustrated their own parents thing!). Anita, it is an everyday challenge for me. God help me. “I call sin, by its name, Sin, and I know how to practice tough love but I have also learned to hang out with mercy in the 50 shades of grayce spectrum.” Love this. This is my favorite of all your posts yet! I think we think of grace as permissible love. But grace begins at the black and loves through the myriad shades of gray to bring us to the white in our own lives. Grace. Wendy, it’s been a long road but I’m getting better at it with every passing day. Grace. WOW!! Such beautiful words – and words I need to hear and remind myself of daily! SIN…yes, I DO sin – and some days I fail to ask God’s forgiveness. But in my heart, I do repent and ask that I be forgiven. Everyday I don’t treat others as I should…specifically my husband. I react to his comments and actions rather than act on them with grace and love. Thank you for sharing your beautiful words; and for helping to put into my heart and my mind those things that I don’t do that I should do, etc. No judgment from me, Barbara!!! Such truth in this post. Thanks for sharing your insight. I think the hardest part is to not judge. Since we bring our own sin issues to the table it causes us to sometimes have a hard time loving and pointing out sin without judging, but it can be done. Amanda, it can and it really must if we are to live in victory! Great post! I think the more grateful I am for His Amazing Grace in my life, the less judgmental I become. Why is it that other people’s sin bugs us more than our own? Sin is sin. Thank God for His great mercy! This is such a great post and even though I detest the idea of the book 😉 I love how you put a spin on that title now I can think about something much more beneficial when I hear it! The grace of God in my life and the grace I extend to others. There is so much truth in this post. I’m going to have to be chewing on this one for a while! Well said – it is important to not have too much of both sides! This was good the first time, and is even better the second! Thank you. If I find myself pointing a finger, I look back to me — Thank you Papa for your Grayce and your Son — JESUS!